Home buy Oppo F7 how much Oppo F7 Oppo F7 6.23 Oppo F7 discount Oppo F7 F series Oppo F7 specs Oppo F7 vs Vivo V9 selfie with Oppo Vivo V9 specs PROMO: The New Oppo F7 6.23 Is Here With FREE Olike Magic Music Lamp. Pre-Order Now! PROMO: The New Oppo F7 6.23 Is Here With FREE Olike Magic Music Lamp. Pre-Order Now! The photo-focused "F" series has released the latest mobile craze. This Oppo F7 6.23 suits the selfie-addict generation perfectly. With its 19:9 aspect ratio, you'll be on the trend for quite a long time. Longer than those who use the Apple iPhone X as its display surpasses this luxury smartphone brand by a notch. 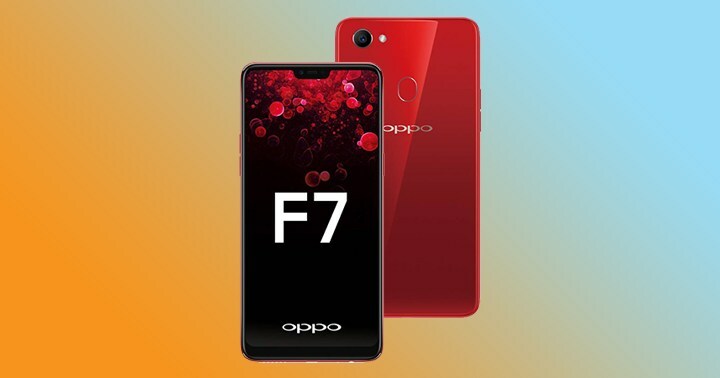 This Oppo F7 6.23 smartphone comes with a FREE Olike Magic Music Lamp. Click the link if you're ready to buy this! You can read on to learn more about the device. To summarize our review, we highly recommend the Oppo F7 6.23 for selfie-loving millennial and mobile gamers who want to experience the best kind of handheld visuals. It competes with the stylish Samsung S8 and S9 devices, and will definitely give Vivo even with its Vivo V9, a run for its money. As of April 12, 2018, you can now officially pre-order your Oppo F7 6.23. But before you do, let's highlight the specs, throw in a few comments about the new Oppo F series smartphone and share some exclusive images to make sure you get what you exactly wanted. The Oppo smartphone company ditched the all-metal design and switched to a lightweight, flimsy, sleek, but sturdy model. It has a smaller notch compared to the iPhone X which houses the sensors earpiece, and the 25 Megapixel selfie camera. 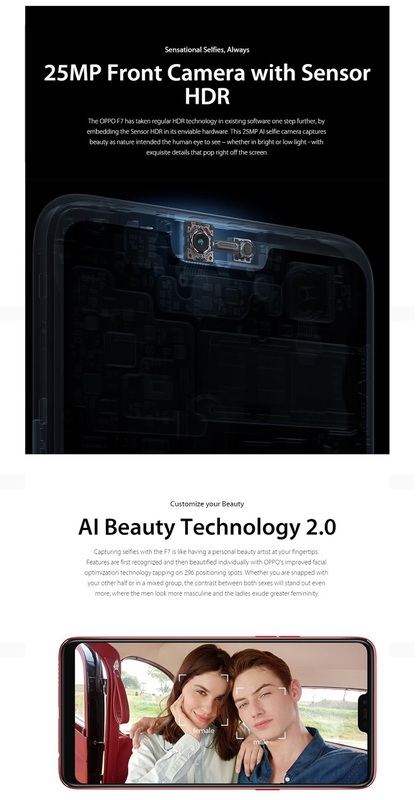 Oppo F7 is equipped with HDR sensors and Artificial Intelligence or AI technology for the front camera. The device is powered by a Mediatek Heliochip P60 and you can choose whether to pre-order the one with 4GB RAM and 64GB internal storage or go big time with the 6GB RAM and 128GB internal storage which is a pricier option. The only drawback is the rear camera. 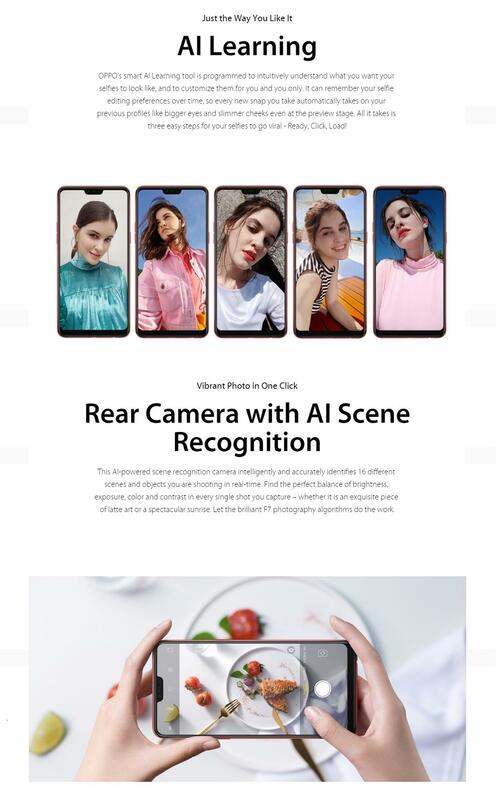 Compared to the Vivo 9, Oppo F7 is not a dual camera phone and works weaker especially in dim light conditions. Moreover, OPPO ditched the trendy USP-Type C charging port over the old Micro-USB port. The 4GB RAM with 64GB internal storage costs around $360 USD (Php 17,990). On the other hand, the 6GB RAM with 128GB storage is approximately $440 (Php 21,990). This is actually near the newly launched Vivo V9 which almost have the same features. All packages come with a FREE Olike Magic Music Lamp. Also, make sure to use the below codes to enjoy discounts a new customer in Lazada. Oppo F7 makes a decent smartphone that would catch the attention of selfie lovers and gamers who need more space to work and play. It may lack in some rear camera power but the other features mentioned above should compensate for it. And as a blowout, we give new customers a discount they can use. Just download the app then click on the links above and use the below codes at checkout. Like what you read? We also buy coffee for our writers out of your donations! Thank you.